Is Field Sobriety Testing Mandatory in Ohio? The simple answer to this question is no, you do not have to submit to a field sobriety test. In Ohio, you are well within your rights to refuse a field sobriety test, just as you can refuse a Portable Breathalyzer Test (PBT). Below, we will examine the reasons why refusing a field sobriety test is recommended by the majority of DUI/OVI attorneys in Ohio. First, here is a review of three types of field sobriety tests. Officers may conduct eye tests, the “walk and turn” test, or the “one leg stand” test. The different tests all serve to determine if the person stopped is under the influence of alcohol or another substance. When officers administer the tests, they look for more than balance and ability to follow instructions. Keep in mind each of these tests is evaluated by a subjective police officer, allowing the officer to gather evidence to back up his or her reasonable suspicion of driving under the influence, or operating a vehicle while intoxicated. Contacting a licensed Ohio attorney focused on DUI/OVI defense to learn more about these tests will help prepare you to assert your rights to refuse the sobriety test. Again, it is in your best interest to refuse a field sobriety test. They are not mandatory and the state can’t use the fact you refused the test against you in court. Additionally, if you participate in the field sobriety test, you are providing the state with more evidence to substantiate a DUI/OVI charge. Consulting with a trained OVI/DUI attorney can help you learn how you should interact with officers once you have asserted your right to refuse the tests. If you are pulled over, the officer conducting the traffic stop will ask you some questions. At a traffic stop, you are only required to comply with the request for license, insurance, and registration. Any questions asked beyond that are for the benefit of the officer, and may be used to supplement his reasonable suspicion that you have been driving under the influence. Questions such as where you were and where you are going need not be answered. When in that situation, you are not compelled to give evidence against yourself. You can choose to ask the officer politely, “Am I under arrest?” If the officer responds that you are not under arrest, then you are not compelled to answer the questions. Officers may insist on a Breathalyzer test before you are released. You can also refuse to perform the Portable Breathalyzer Test (PBT) without consequence of losing your license from that act alone. 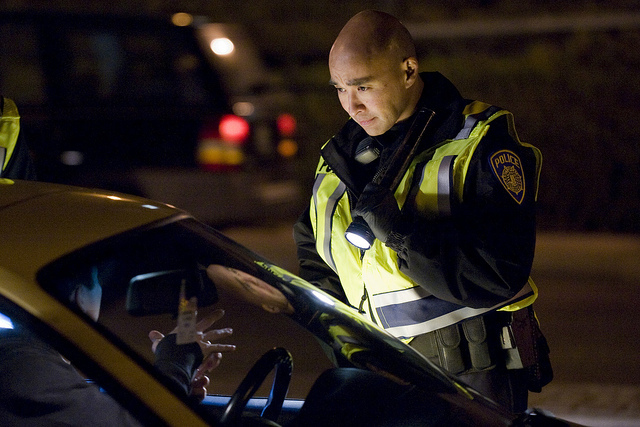 The officer also cannot use your lack of Portable Breathalyzer Test (PBT) as evidence in your DUI/OVI case. Although the National Highway Traffic Safety Administration has developed multiple standardized tests to help law enforcement, many factors could lead to the field tests being conducted poorly. If you suffer from a physical, or psychological condition, the testing conditions will not reflect those modeled through the National Highway Safety Administration. Again, these are subjective tests conducted at the site of the stop to bolster the probable cause and assist the officer in making an OVI/DUI arrest. The knowledge and expertise of an experienced OVI/DUI attorney is crucial in helping you navigate these tests and learning how to respond to various officer requests. A DUI/OVI attorney in Columbus, Ohio can effectively advocate for you and potentially have your charges reduced or dismissed. To schedule a free consultation with a skilled OVI attorney, contact The Maher Law Firm today by calling 614-205-2208.